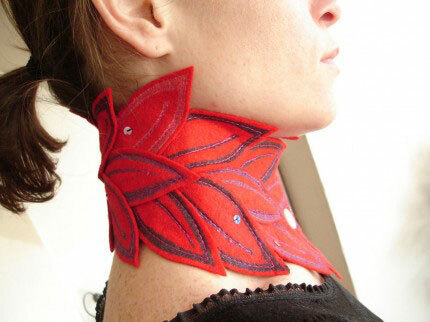 Beautiful handmade collars, made of felt in a variety of colors (and leaves!) So pretty. 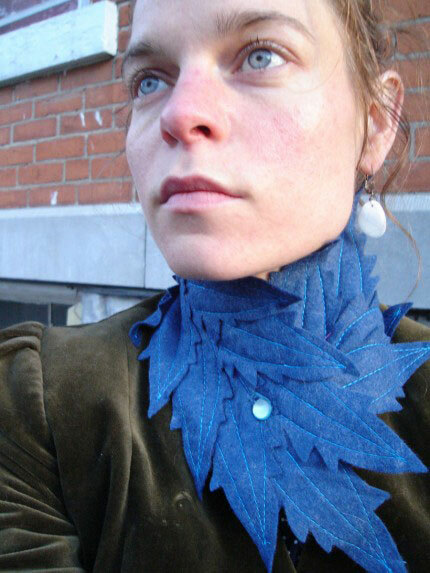 Perfect for making that fancy shirt even fancier. By the Candy Thief on Etsy. This season, the condom is the thing to wear. That’s the message at the International AIDS Conference in Toronto, where the aim is to destigmatize the humble prophylactic by turning them into brooches and pins as part of a movement called “The Condom Project.” The initiative is aimed at fighting the spread of HIV by making people comfortable with condoms.